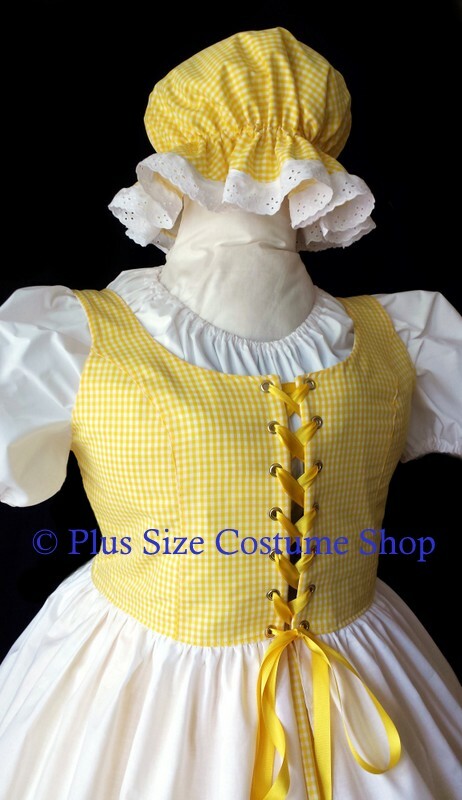 The overdress is made of yellow gingham cotton on top and white cotton on bottom. The bodice part is lined and boned at the lacings. It laces up through professional-strength grommets. The peasant shirt is made of white cotton and has elastic in the sleeves and neckline. The skirt is made of yellow gingham cotton. The skirt is trimmed in a wide piece of eyelet lace. The skirt has an elastic waist and will come hemmed at 36” (ankle to floor-length on someone of average height) unless a longer or shorter specific length is requested. Finally, a matching yellow gingham cotton mop cap trimmed in white eyelet lace is included. 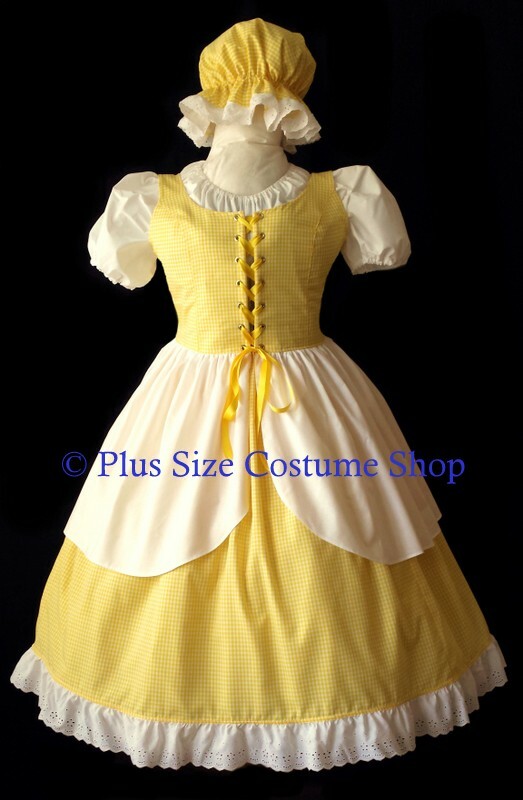 This costume would also work as: Little Miss Muffet, Little Bo Peep, etc. You may also choose different colors of gingham (we usually have pink, light blue, lavender, light green, yellow, and red).